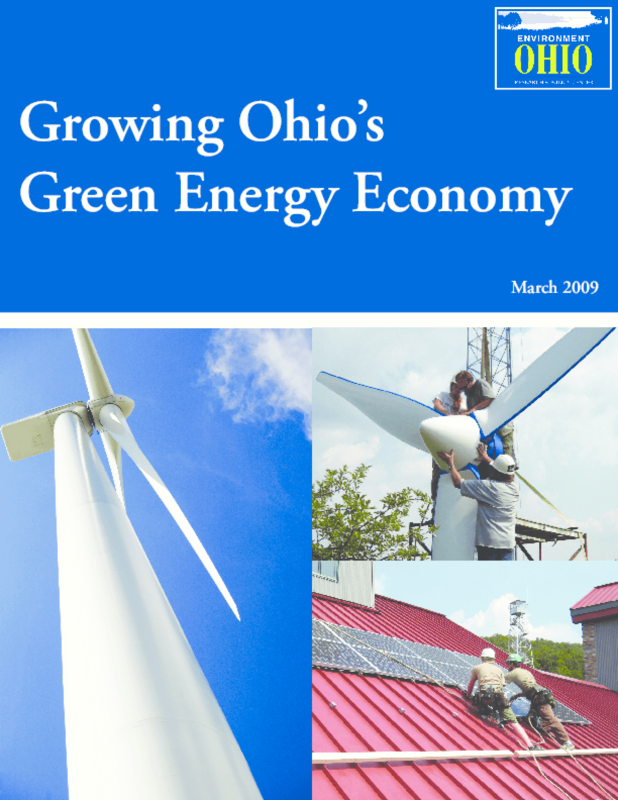 Provides an overview of the state's solar, wind, biomass, and geothermal energy and fuel cell industries and assesses their economic contribution and potential for growth. Recommends policies to encourage further green energy development and job creation. Copyright 2009 Environment Ohio Research & Policy Center.